Superdry men’s Windsprinter runner trainers. 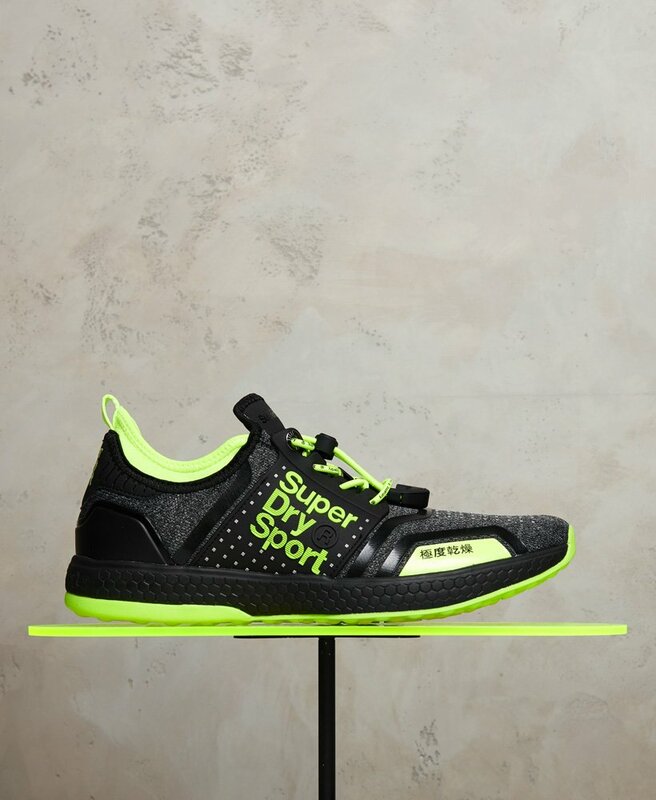 A lightweight style trainer featuring a high build branded TPU bungee cord lace system, a rubber based and EVA sole with hexagon detailing for added support. The trainers also feature a pop of colour on the sole, heel, insole and side, ensuring you stand out from the crowd. Completed with a variety of Superdry Sport logos these comfortable trainers are ideal for everyday life.